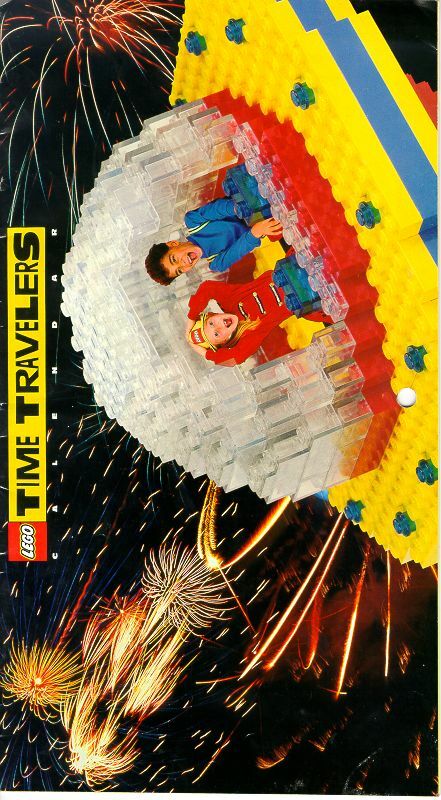 I also have a few other books which are sort of like Idea Books but were not published by LEGO, including the Amazing Animals and Fabulous Figures which were published by DK.� One of the more interesting things I have is a LEGO Time Travelers Birthday Calendar. I scanned the entire calendar and posted it (not sure why I didn’t take the time to rotate the images but I didn’t) on BrickShelf years ago when I first got it.� I found it in a box of stuff I picked up at a used toy store called Toy Go Round which used to operate in North Raleigh but has since gone out of business. This entry was posted in Instructions, LEGO and tagged Idea Books, Instructions. Bookmark the permalink.